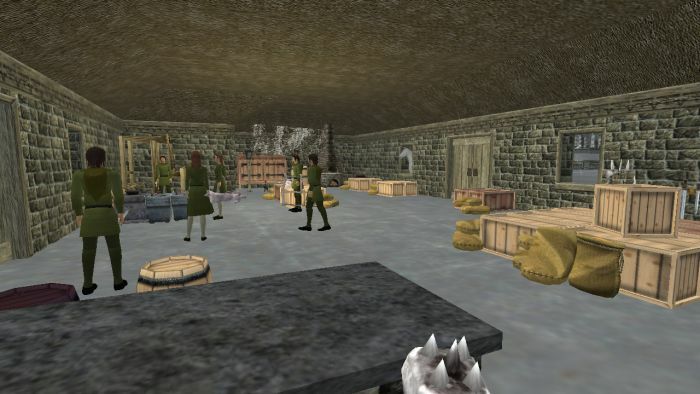 There’s No Place Like Home #WurmOnline – Nomadic Gamers, eh! The novelty of Celebration has worn off, and this weekend (thanks to a very generous Moumix) I brought all of my characters back home to Deliverance. I still have Falkenstein Castle, and I intend on keeping it (there’s over 150 days of upkeep paid) but I missed being able to hold sermons and I missed having all of my characters together. My Fo priest has 43 animal husbandry, and working up that skill again so I can see the traits on the 30+ horses I have is a bit of a pain. Not to mention she has 40+ farming, and can cast Fo spells which come in handy. The population on Deliverance has dwindled slightly due to the new server, our average used to be over 100, some times 120-130, but now we’re holding at around 90. Expected with the new release. I love my deeds on this server, and I love the market place (Puzzle Plaza) and community that I know there. I’ve been making some great sales, enjoy to keep my deeds going. I’ve been happily working my skills up (yesterday I reached 30 jewel crafting) and Moumix and I have started holding sermons again. It’s pretty nice to have 8 characters participating between us (it’s enough for a prayer re-set). In an amusing story, yesterday I went out walking along the coast to see if there were any ships I could salvage (remember folks, lock and moor your boats!) and along the way I happened to stumble into my own boat, a sailboat I had left far down the coast at the steppes some months ago. Back when I was hunting for hell horses. The amusing thing is that I didn’t even remember leaving it there (at the time) but when I found it suddenly it all came flooding back. It had 17 dmg on it, which (for a boat) is a lot. I sailed it home, and happily picked up the 300 planks I had also found while out and about. You can never have too many planks. The evening was finished by heading back to my old Darkpaw Bay deed, and loading up my new knarr (thanks to Moumix) with the materials I had been keeping in Squid’s house. The house is decaying quite heavily due to its low quality, and I wanted to remove the items before other scavengers came. Normally I wouldn’t really care, but there were 400 wemp that I wanted as well as a lot of copper (I still don’t have an easily accessible copper vein). When all is said and done, it’s nice to have everyone on the same deed.